The first time I met Angela Correa, she was part of a lovely acoustic duo called Les Shelleys. The second time I met her, she was performing as Correatown, a more dream pop oriented outfit that created gorgeous warm songs that delved into C86 and a spot of electronics. Then I saw her live in Wakefield, promoting Pleiades (our review). She mentioned that the tour had been a little accident prone and during her performance, the electricity failed and she came down from the stage and sang amongst us, dark shadows lost in a pitch black upper room in a lovely bar. Cue a couple of years and a lot of work and now we have Sleep and other drugs. This is a different cluster of stars, which does not shine in bright blue pulses, but mauve and fuchsia scattered ligths. Let me elaborate: the layered, fuzzy atmospheres from Pleiades are now diffused, put in the backburner (mostly) and now it’s Correa‘s vocals what creates the atmospheres. ‘Follow your dreams’ is a call to ignore the people that say “don’t dream, it’s over”* and move forward. That tacit drumming reminds me of Simon & Garfunkel’s ‘The Boxer’ and I get some chills traveling through the spinal cord. ‘Distillery’ is equally positive, almost a fast lullaby with the right amount of instrumentation to occupy but not clutter the airwaves. ‘All you left behind’ however, is a little heavier on the electronic side. It requires it to accentuate the personal intensity of the track. The ending is chilling. ‘If I had a boat’ again feels like a lullaby and this is where the title of the album finally cements and proposes the following idea: Pleiades was an album meant to heard during the daytime, Sleep and other drugs is for the night owls, tinkering during the times between 11 pm and 5 am.’Ancient Caves’ is my 3 am. 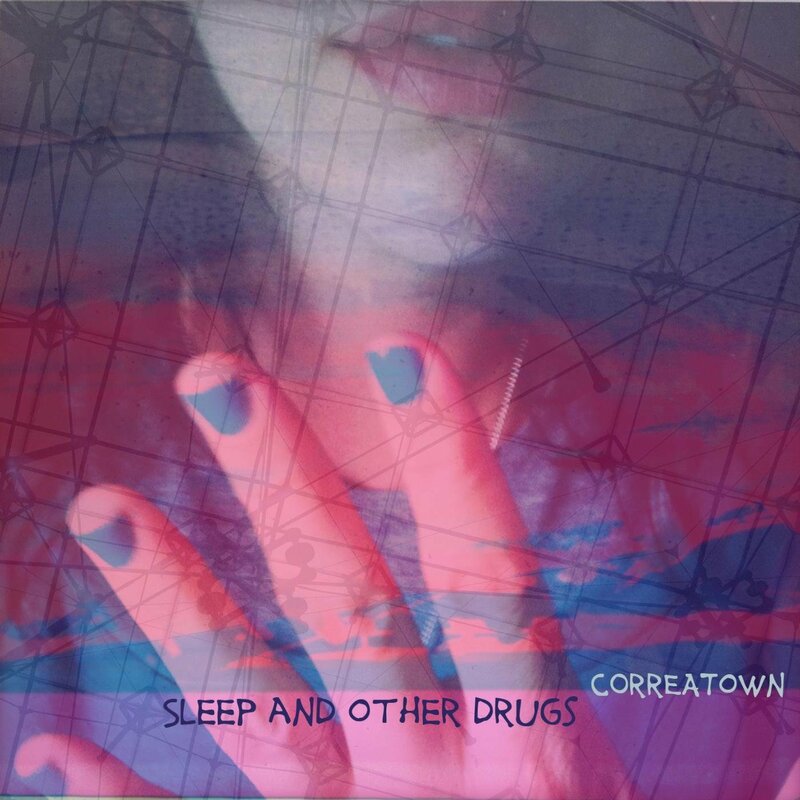 Whether I’m pushing crackpot theories or might have “got it”, it matters not: the acoustic sensibilities of Correatown show that sometimes all you need is a guitar and a dedicated voice, like in ‘Dear Trouble’, the sparsest of the bunch. A duet with Piney Gir is more than welcomed and I for one would pony up for a release featuring both artists. And then we get to the first track of this album that I heard. You’ve probably sussed out that there’s some history between Billy Joel and me and to hear Correatown venture into the wild territory that is covering an artist as sonically perfect as Billy Joel and coming out victorious with a wonderful rendition of ‘This is the time’ is no easy feat. One of the most overlook songs of Joel‘s thick book of hits, this version is another lovely spin in a heartfelt song. Sleep and other drugs closes acoustically with ‘Cupid’ and I could swear those rascals from Les Shelleys sang their way in for a cameo. Don’t be strangers, please. It’s a sweet song and if my theory about this album being a “night time album”, the this closer is the first rays of sunlight, when the sky is blueish green and you can almost see the sun, slowly overtaking the mauve constellation you were looking at. Correatown Website. Twitter. Facebook. Soundcloud. Bandcamp. Myspace. *I’m NOT misquoting Crowded House. Thanks. Posted in Dreamy, reviewsTagged Angela Correa, Correatown, Les Shelleys, Pleiades, Sleep and other drugsBookmark the permalink.